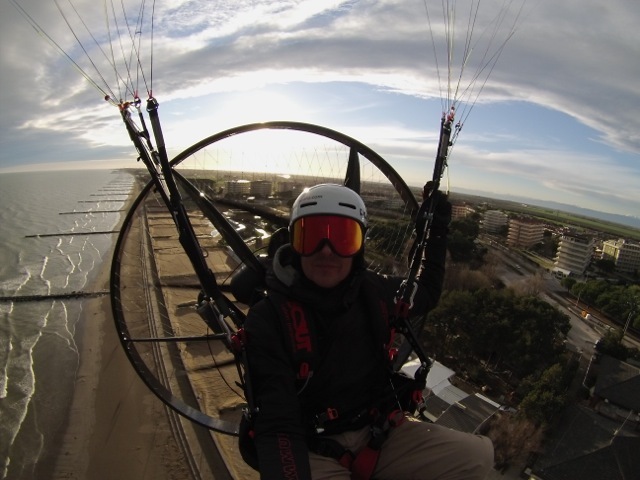 Paramotor Training with Miroslav, designer of the Scout. No gear can compensate for skills. 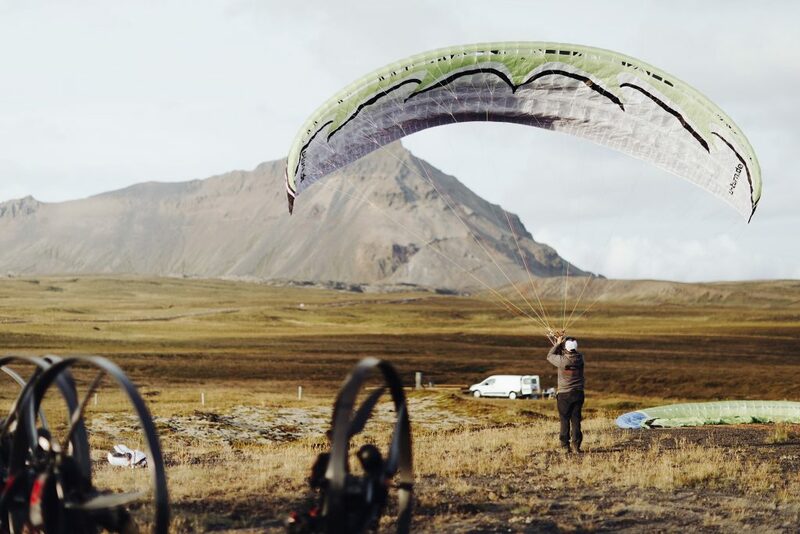 During all my adventure flights, slalom training, SIV training and paragliding in thermal conditions I have learned the importance of good skills beyond anything else. Seriously, you need to start with good training in the first place. Our Italy package is just the perfect combination. Our training group will be small: 6 students only. Our training will be very intensive with 2 instructors. Miroslav Svec and Stefan Prisecaru. Because we take it personal. The Perfect Location: Italy east coast . Chances for good weather are great here. We will spend hours and hours of groundhandling until you master the glider control. There is not better place for this than a beach. You know Italy: good weather, great food, best wine! … To return home as a pilot! Close your eyes and imagine yourself standing on a beautiful green field near some astonishing mountains with white peaks. Start running and count your steps: one, two, three and you are airborne! Yes, it is that simple! 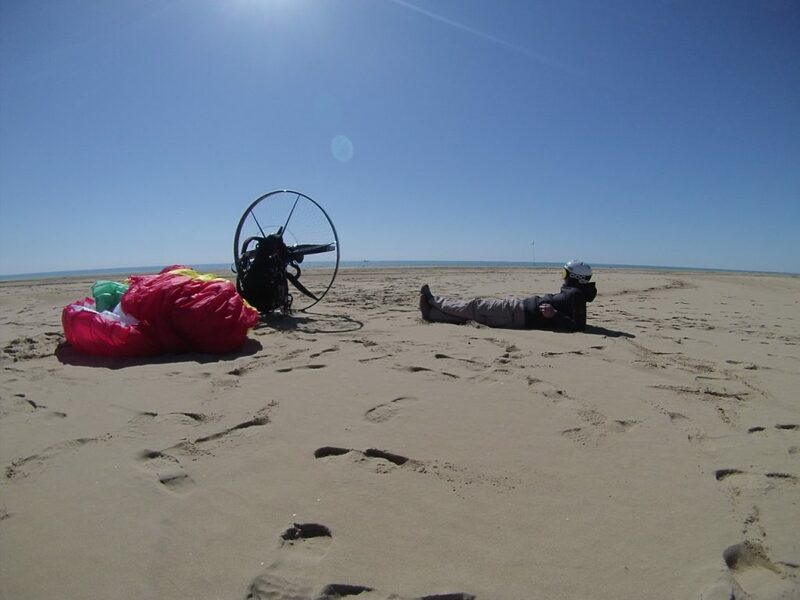 … Or start your first paramotor adventure right after training! Be part of the 6 students group which will have an intensive training session for full 9 days with 2 instructors who will teach and answer questions 24/7. Intensive training for 9 full days. Accomodation. We will stay in bungalows or hotels close to the training area. Prices are 20-40 euro for one night. food: Full meal at restaurant 10-15 euros, a good wine/beer is 3 euro. Stove, pan, pot and barbecue will be available. 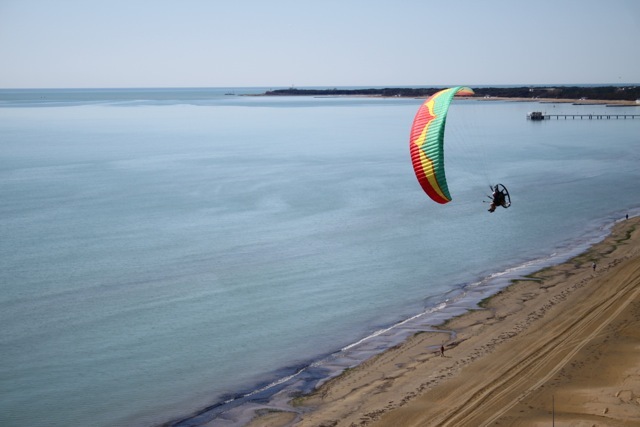 Join us and learn basics of paramotoring with the best gear available in a perfect location and laminar winds. Two instructors will be available 24/7 for 9 days teaching and answering any questions about the sport. We will give you all the equipment you need from scratch. 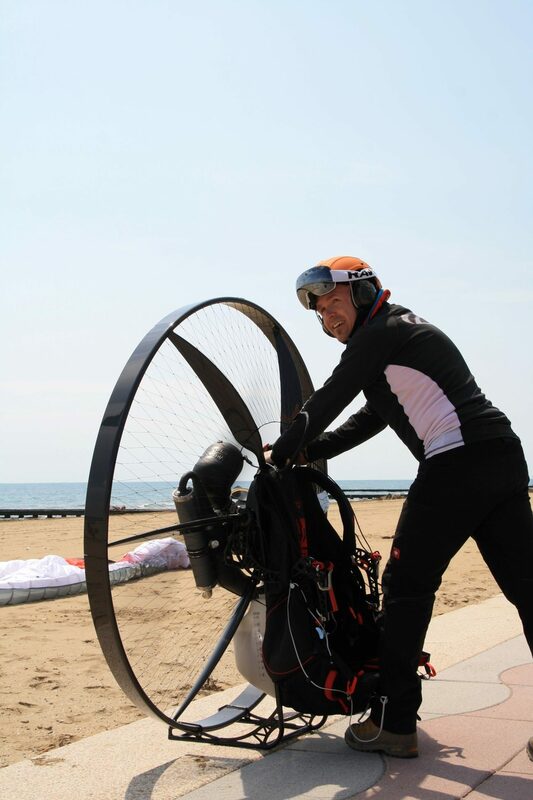 We will provide wings for ground handling and flying,motors and safety equipment. 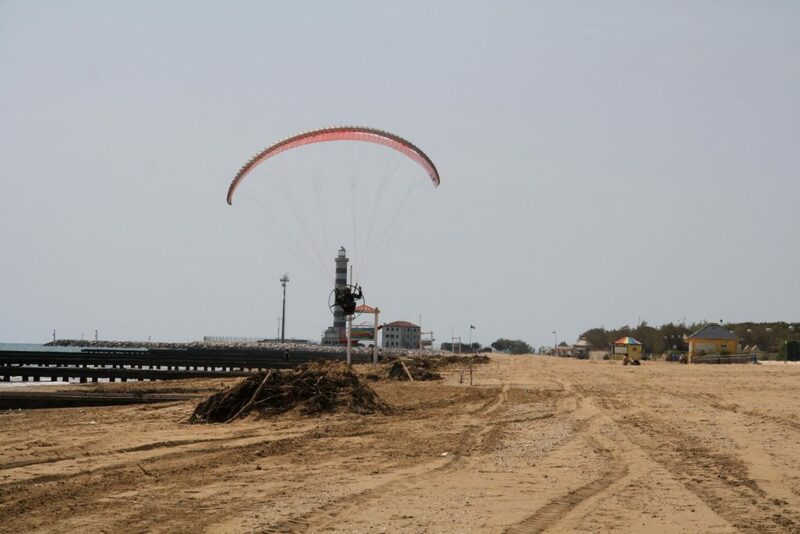 You have to bring only adequate clothing and the will to become a Pilot, we will handle the rest. Treat yourself with a brand new SCOUT and have it delivered for your training, this is the right time! 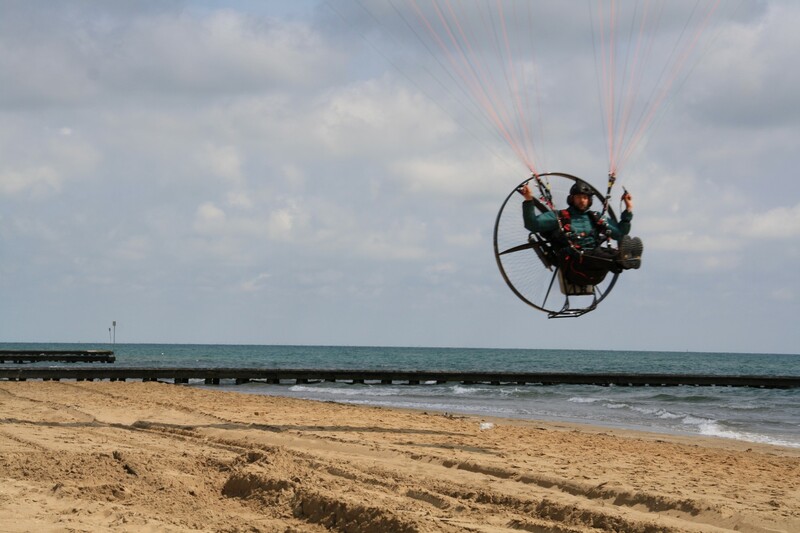 We will make you a brand new, fresh and crispy SCOUT and we will bring it to Italy to train with your own paramotor. 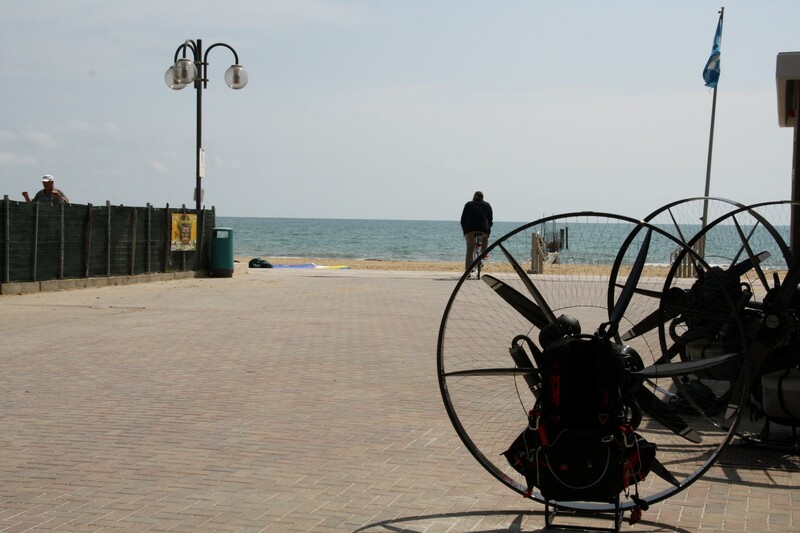 Delivered to your home afterwards already set up and ready to fly. take a plane to Rome Airport . We may pick you up at the airport, let us know. All the gear for training will be already there waiting for you. You are one decision away from changing your Life. Join us and become a PILOT.